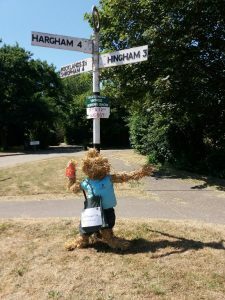 This year we were very lucky to have been chosen as the nominated charity to be supported by the long-running Great Ellingham Teddy Bear Trail. On Wednesday 5th September we received a cheque for £1500 from the organisers, who supported many other local groups including the preschool and scouts and guides. 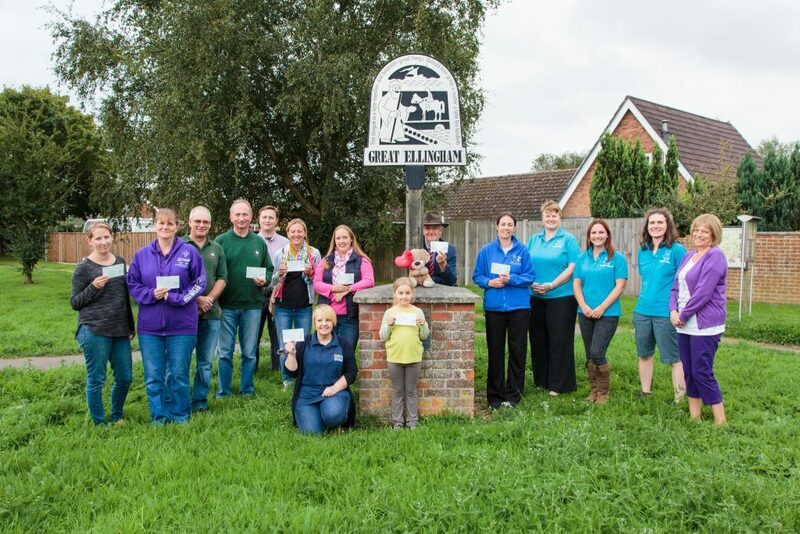 This fantastic event is run by a group of willing volunteers who organised a huge selection of fundraising events and initiatives in the village of Great Ellingham. Over 70 bears were created to take part in the trail and ‘Star Throwers Ted’ was situated at the heart of the village taking part and even visited by Wally Webb and Anna Perrott as part of Radio Norfolk’s Treasure Quest. Thank you to all the organisers and the public who took part in the many events for choosing Star Throwers to support this year.